As you already know, the SD card is a key part of the Raspberry Pi. Your Raspberry PI SD Card will provide the initial storage for the Operating System and files. Without an operative SD card, your Raspberry Pi will not start. As these cards have a limited erase/write cycles, it is very important to choose and use them carefully, in order to expand their lifespan. Otherwise, after a reboot you can come up with a corrupt SD card unable to boot the system again. 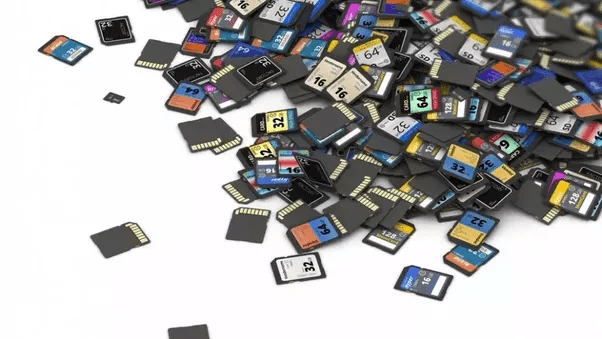 In this post we will see some methods to increase the lifespan of the SD card by minimizing the number of read/write cycles. As it was already stated in this post, the selection of a good SD card is very important. First of all you should consider the card class. This parameter determines the sustained write speed for the card; a class 4 card will be able to write at 4MB/s, whereas a class 10 should be able to reach 10 MB/s. But apart from the class, the size of your Raspberry Pi SD Card is also an aspect to consider. Although it is not included in the SD specification, a good quality SD Card will use wear levelling algorithms. These algorithms will minimize the number of times each block is written, by arranging data so that erasures and re-writes are distributed evenly across the card. By this way, if the SD card is larger than the space needed, the wear can be spread over a much larger area of free space. It is good practice to move the highly used files, which concentrate the majority of writes and deletes, away from your Raspberry Pi SD Card. By doing that, you will avoid using it for repetitive operations, which would reduce its operative life. These files can be moved to RAM memory or to an external HDD Drive. On the one hand, RAM reads and writes will be faster. For instance Raspberry Pi’s RAM, LPDDR2, offers in theory a bandwidth of up to 8.5 gigabytes per second. However, as a counterpart, the directories mounted in RAM space will not persist after a power interruption. After analysing Raspberry’s I/O, it is up to you to decide which directories should be moved to RAM space, which can be transferred to an external disk and which should be kept in your Raspberry Pi SD Card. o to show only the processes that have active disk usage. a in order to see the cumulative bandwidth used and not the immediate consumption. k to receive the results in kilobytes. You should analyze your results to find out which programs concentrate the majority of read/writes and, when possible, move the files used to RAM space. and run the following command several times to see the message buffer of the kernel. As an example, those were the directories that concentrated the majority of writes in my Raspberry Pi. For each one, I decided to mount them in tmpfs or in an external HD. Note that depending on the version of Raspbian installed, some of them are by default mounted on tmpfs. As you will see, tmpfs is a common name for a temporary file storage facility on many Unix-like operating systems. It is intended to appear as a mounted file system, but stored in volatile memory instead of a persistent storage device. Its maximum capacity is, by default, half of the physical RAM memory. If you have not configured any video memory your tmpfs size should be 512 MB. /run stores volatile runtime data and is always mounted as a tmpfs on systems which support tmpfs, so you will not probably need to change anything in your configuration. Note that in modern linux distributions /run replaces /var/run because in some cases this directory was not always available at early boot. For compatibility reasons, you will find that your Raspberry creates a softlink between /var/run and /run. /run/lock contains files indicating that a shared device or other system resource is in use. These files contain the identity of the process (PID) using it. This allows other processes to properly coordinate access to the shared device. As it happens with /run, a /var/run/lock soft linked also exists and, by default, it will be mounted on RAM space. This configuration can be changed in file /etc/default/tmpfs by setting the RAMLOCK parameter to no. This is a shared memory where some processes create memory portions which can be accessed by third processes in an efficient way. As in previous cases, is mounted by default on RAM space and the configuration can be changed in /etc/default/tmpfs setting the RAMSHM parameter to no. Those file systems have the same purpose and functionality: storage with a short lifetime. Both can be mounted on RAM space, being the first one configured also by parameter RAMTMP in file /etc/default/tmpfs. In this directory the system log are stored. As already stated, placing these files in RAM memory will erase them after a reboot. You should do this only in case your system is stable and you do not need to recover these files in the future. If you are interested in keeping the logs, you can also mount this file system on an external unit, such as an USB Hard Drive. Additionally, there are also programs that will make copies to hard drive/SD card only after a certain amount of time, or before restarting the system, ensuring that the log is saved safely. To do this, have a look into ram2log on this link. However, the easiest way to keep your log files saved is just not placing them in RAM. This file system will store the web page served by apache. As we will see, my domotic web is generated dynamically every 5 minutes with the last information served by the home sensors. In my case, it is not a problem to lose all the html code every time the Raspberry is restarted. That is the reason why I placed this directory in RAM space. The databases of my domotic system are stored under this location, which are updated every 5 minutes. The information recorded is mainly related with the weather, heating system and Raspberry Pi conditions. Of course, the information recorded on this databases should be permanent and not be lost after each restart. For this reason I decided to move the databases from this point to a location in a external HDD. I use USPD (Uninterruptible Power Supply Daemon) to shut down in a controlled way my Raspberry Pi in case there is a power shortage. To know more about this topic see this post. This daemon will update frequently in this location some status information. As there is no need to keep this information after a restart I decided to move it to RAM. In order to mount a filesystem in tmpfs space you should edit /etc/fstab file. The fstab file typically lists all available disk partitions and other types of file systems and data sources that are not necessarily disk-based, and indicates how they are to be initialized or otherwise integrated into the larger file system structure. Each filesystem should be described in a separate line. These definitions will be converted dynamically into system mounted units at boot and when the configuration of the system manager is reloaded. The kernel will mount /tmp on RAM, however it will not use any RAM until files are written to /tmp. When files are written, the kernel will save them to RAM using, as a maximum, 10 Megabytes. This avoids a filesystem from using up all the RAM, which can cause the system to slow down or even crash. When files are removed from this location, the associated RAM to store them will be freed up. noatime option. Linux records information about the time when files were created and last modified as well as when they were last accessed. With the noatime mount option, reading accesses to the file system will no longer result in an update to the atime information associated with the file. The importance of the noatime setting is, that it eliminates the need of the system to make writes to the file system for files which are simply being read. This can result in measurable performance gains. commit option. Filesystems with journaling, such as ext4 or ext3, use the commit option as the frequency with which the filesystem driver itself forces a full sync of all dirty data/journal/metadata to the physical media. Increasing the commit time to 30 minutes, for instance, will certainly reduce the number of writes (multiple writes are combined into one single larger write, updates to previous writes within the commit time frame are cancelled out), increasing on the other hand the risk of losing up to 30 minutes of data upon power failure. As commented, I use an Uninterruptible Power Supply (UPS) to avoid power interruptions. In my particular case, the benefits of incrementing the commit time are greater than its drawbacks. nosuid, noexec and nodev option. Those are not efficiency options, but security precautions. The nodev mount option specifies that the filesystem cannot contain special devices. The noexec option avoids the execution of any binaries on the partition. The nosuid mount option specifies that the filesystem cannot contain set userid files, eliminating the risk of root escalation. Another option is to mount certain Filesystems outside the SD Card. In my case, I decided to move the weeWX database in an external USB Disk. To automatically mount the unit every time the system is restarted, you have just to add a line in the /etc/fstab file. In order to identify the drive, use the UUID or the unit label extracted fromlsblk command instead of the unit name, which can change over time. External devices that are to be mounted when present but ignored if absent may require the nofail option. It can be combined with the x-systemd.device-timeout option, in seconds. Be aware that 0 means infinite timeout. To increase the quantity of RAM available, Linux system’s use swap space. If a system needs more RAM resources, it will move inactive pages in memory to the swap space. This can help the limited memory of your Raspberry Pi to have more available RAM. However, the swap space will be located in the SD card. It will not only offer slower access time, but also increase the number of writes. It will, without any doubt, reduce the lifespan of your card. If your system uses a swap partition instead of a swap file, remove the corresponding line in /etc/fstab file as explained in the previous sections. Remember that, when a file system is mounted in tmps without any size limit, the available space will be shared between all of them.